SUPER HIT! Flights to Sri Lanka: Colombo for only €249! 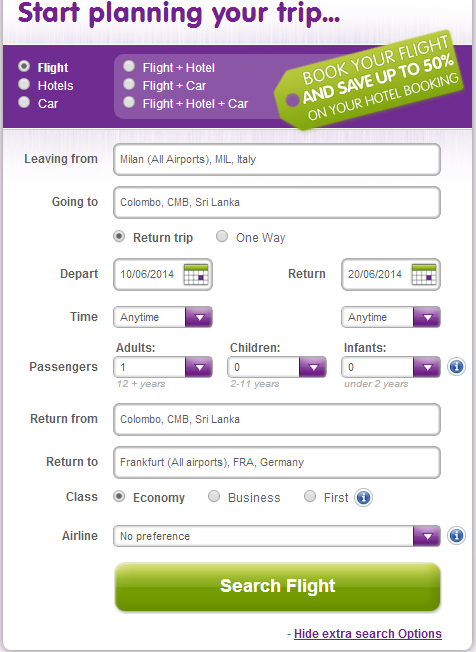 Alitalia and Sri Lankan airlines now offer the cheapest price in history to beautiful Sri Lanka. 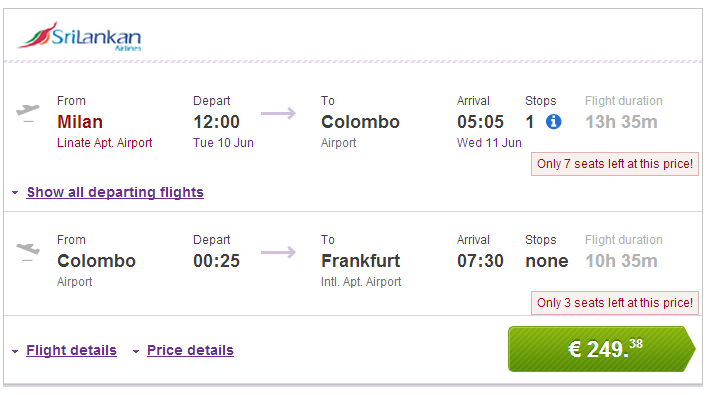 Multicity tickets Milan – Colombo – Frankfurt are available for unbelievable €249! This is most likely error fare which won’t last long so you better book it as soon as possible. Travel dates are until end of November with exception of Summer holidays. Book on BudgetAir (click in Show extra search options to enter return to Frankfurt).